Taurus is an Earth sign, and the Pleiades, a beautiful group of stars in the shoulder of the Bull, which has been called ‘The Hen with her Chickens’ by many cultures throughout history, was used by ancient farmers to mark their seeding time. This section of Mark uses the Greek word for ‘earth’ (translated here variously as earth, ground, soil etc.) nine times, and nowhere else in the Gospel do we find such a wealth of agricultural imagery and vocabulary. In the ancient world Taurus was also associated with light, and was called The Bull of Light by the Egyptians, probably because in and around the constellation are some of the most beautiful sights in the night sky. Orion, one of the decans of Taurus, was called The Light of Heaven by the Babylonians. When they were alone, those close to him, along with the twelve, began to question him about the parables, so he said to them, 'The mystery of the kingdom of God has been given to you, but to those on the outside, everything is expressed in parables so that although they may look they won't see, and although they may hear they won't understand in case they would need to turn around and forgiveness be given to them. n our recent daily walks through St. Stephen’s Green, Morag and I have been noticing the dramatic changes occurring in the trees and shrubs. A month or so ago, there was the budding: shoots pushing tentatively through the hardened, frosty soil, embryonic leaves scattered among the still skeletal trees. But now, the place is awash with colour, and the pathways are submerged under a canopy of green. The ducks on the lake are squawking busily, the birds are building their nests, and young couples are lazing on the grass, whispering sweet nothings as they enjoy the returning sunshine. It is the sign of the builder, and it is surely not without significance that some of the human race’s grandest and most enduring structures – including Stonehenge, Newgrange, and the pyramids of Egypt - were erected during the astrological age of Taurus (c. 4,000 – c. 2,000 BCE). The ancient writers weren’t terribly kind to people born under Taurus, considering them best fitted for agricultural work. A Taurus man is a ‘dull, honest ploughman’, according to the Roman writer Manilius, fit for tilling the ground and manuring the field, and while the Taurean philosophers don’t often spend their time spreading manure (except figuratively, perhaps! ), they do tend to expound one version or another of ‘no nonsense’ materialism – ‘if you can’t see it, touch it, taste it, hear it, or smell it, it doesn’t exist’ - which Britain’s pragmatic and sceptical Radio 4 listeners seem to find so congenial. Marx’s ‘dialectical materialism’, John Stuart Mill’s Utilitarianism, and David Hume’s scepticism, all bear the unmistakeable signature of Taurus. Thomas Reid, another Taurean, was called ‘the common sense philosopher’; Bertrand Russell, yet another, was a thoroughgoing materialist, prepared even to reduce human thought to chemistry; and Wittgenstein, who, in true Taurus style, designed and built a house in Vienna for his sister, summed up the anti-metaphysical bias of Taurus when he said, ‘Whereof we cannot speak, thereof we must be silent’. 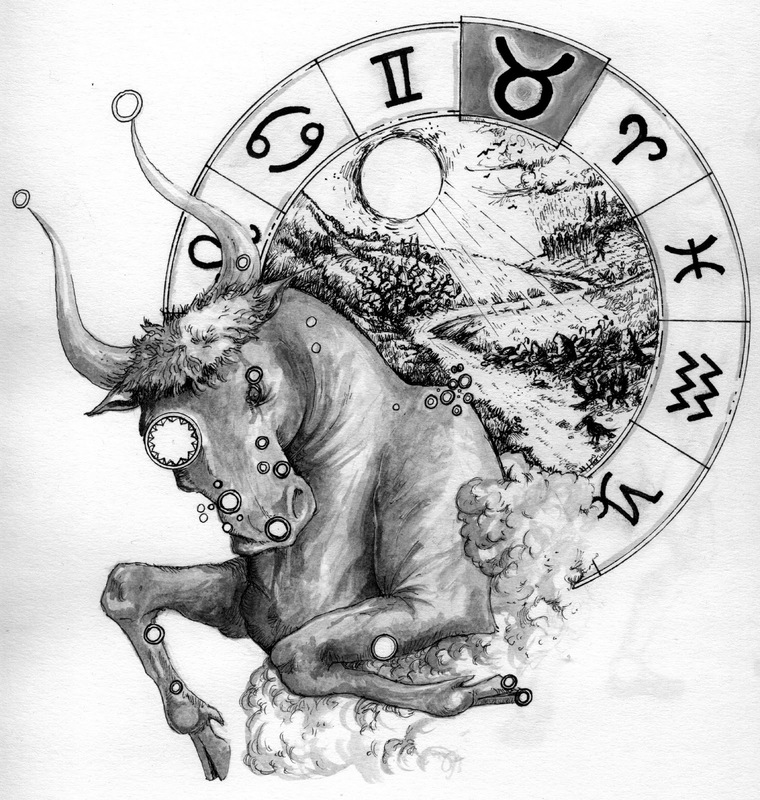 The sons and daughters of Taurus certainly seem to have their feet on the ground. 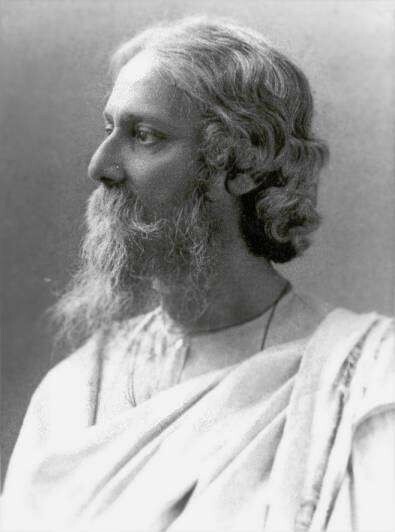 And we’ll answer such questions for ourselves, concluding perhaps that there is something more than this, that, to quote the great Taurean mystic Rabindranath Tagore, the world holds a deeper meaning than what is apparent’, and we’ll want to pursue it, to find out what the meaning is, to discover who we intrinsically are, and what our life is really about. And it’s a fine and noble impulse, and all of us here have felt it, in fact we wouldn’t be here unless we had felt it, but the Parable of the Sower warns us that the impulse alone is virtually worthless. The circumstances which give rise to the impulse are fleeting, whatever we might think at the time, and when our circumstances change, our resolve can evaporate as we become embroiled in the market place once more, ‘getting and spending’, convincing ourselves that a little more money, a better job, a bigger house, a better car, more holidays, more status, winning the lottery, will turn our life around and make us happy. bricks from straw – a beautiful Taurean image! And what do they do when Moses leaves them for a while to meet God on the mountain? 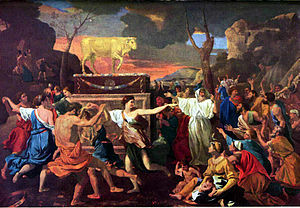 They build a golden calf and worship it. It’s strange, isn’t it, how the ancient images crop up in our modern culture? 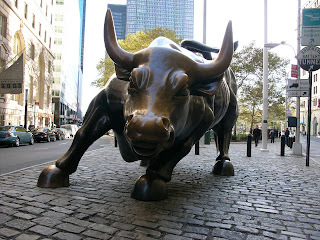 The Bull Market is the investor’s delight, when stocks and shares are increasing in value, and on Wall Street, at the very heart of the Western economic system, there is the great big Taurean bull, introduced no doubt unconsciously, but demonstrating the power of these ancient symbols to transcend cultures and ages. The chief characteristic of the highly developed Taurean type is his stability of character and of purpose. He is the steadfast mind, unshaken in adversity, and his the power of quiet persistence in the face of difficulties......in hard circumstances his patience and perseverance are marvellous. Persistence in the spiritual life is what we are all called upon to exercise. The seed has been planted, but it has to be nurtured – consistently and carefully. Last Friday, as Morag and I were taking our walk around St. Stephen’s Green, we came across Chris Tormey (a member of the Dublin congregation) and we spoke briefly about the beauty and profusion of the trees and the shrubs that surrounded us. ‘That reminds me,’ said Chris, ‘I must go home and water my plants.’ Chris has got it right. It’s no good just planting a seed and hoping for the best. The plant has to be fed and watered. really good stuff... just heard your podcast with Miguel Connor at Aeon byte and really liked what you had to say, I have had a similar path to yours growing up in the Protestant Christian church as a son of missionaries. I am going to pick up your book soon. I wanted to ask also; any Unitarian or Free Christian type groups in the Los Angeles area that you know of? I'm sure there are plenty in the Los Angeles area, but Unitarianism on the West coast of America tends to be humanist in its orientation. I lived in San Francisco for a year in 1990 and attended a lovely UU church there, but I never made it to LA. All I can suggest is that you go along and try them. Unitarianism is not to everyone's taste! Thanks for your comments, and please contact me if there is anything I can help you with.